Shop Ultra Window Hosting with unlimited subdomains and 50 MSSQL Databases. Basic Linux Hosting is with Unlimited disk space and 5 FTP Logins. How much discount can I get on Domain.com? Domain.com regularly updates and releases new coupon codes. You can get up to 25% off usually and even more if there is a special offer. Some offers are valid only for a limited time and must be redeemed during that period. Is my domain renewed automatically? When you first sign up for a domain with Domain.com, it is by default set to renew automatically at the end of the first term. 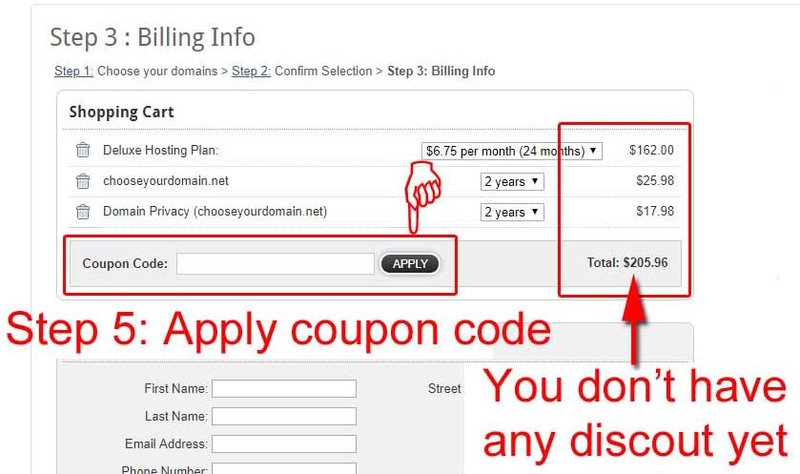 When your domain hosting period expires, your card is charged automatically to renew the subscription. However, users can choose to opt out of this setting. If you choose to opt out of auto-renewal, you will be reminded about renewal in weeks leading up to expiration date. It is important to make sure that the domain is renewed in time to avoid any loss. Why should I buy a domain at Domain.com? 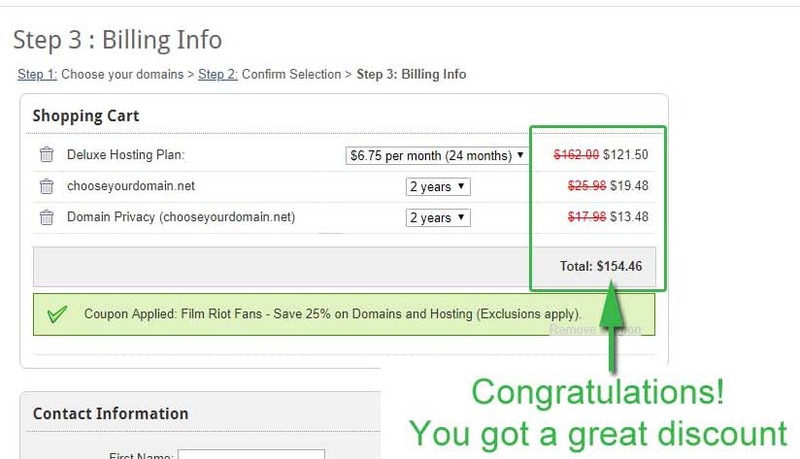 Domain.com is known for its crazy discounts. You can get a .com domain in just under $10. They also have very cheap NTLDs. They also offer so many free domain services like URL forwarding, Transfer Lock, Total DNS Management, and Email Forwarding. Their domain services are one of the best in the industry right now. Domain.com is a leading domain and web hosting provider that has been active since 2000. They offer all kinds of domain services as well as other quality driven services for websites. If you are looking for the best value domain with a lot of free services, Domain.com is the place to host your next domain. Searching a domain is super quick and easy at Domain.com. You can find rates for the top level domains as well as New TLDs. You can also add Domain Privacy to protect your private information from being readily available online. Bulk Registration is also possible where you can search up to 25 domain names in one go. Whatever service you may need regarding a domain is there at your disposable. They specialize in domains and offer high-quality support in this matter. Domain.com also offers Linux based and Windows-based hosting services. These offer a lot of flexibility and reliability for your website. New businesses, as well as established ones, can find plans that fit their needs. The Basic plan is the cheapest at just $3.75 per month. It allows only one domain to be hosted and offers some limited resources. 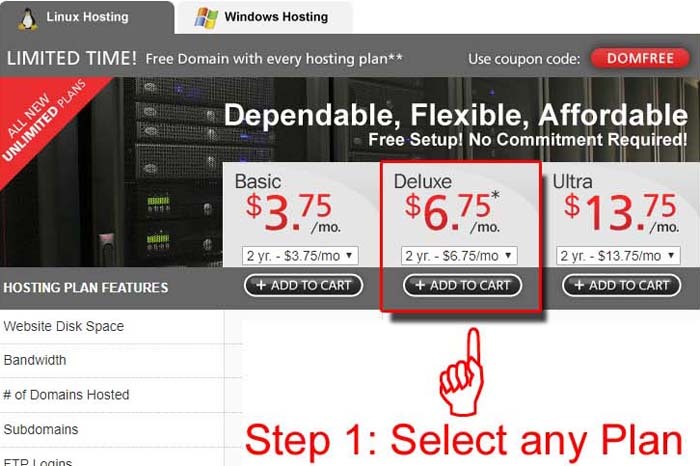 The Deluxe plan ($6.7 per month) hosts unlimited domains and subdomains as well as more resources. The Ultra plan ($13.75 per month) is best for those who want unlimited resources right from the beginning. For websites that are too big for a shared server, Domain.com has Virtual Private Servers. These plans are optimized for resellers, developers, and medium-sized business with heavy flow of web traffic. You can choose for three plans that differ by disk space, RAM, and bandwidth. 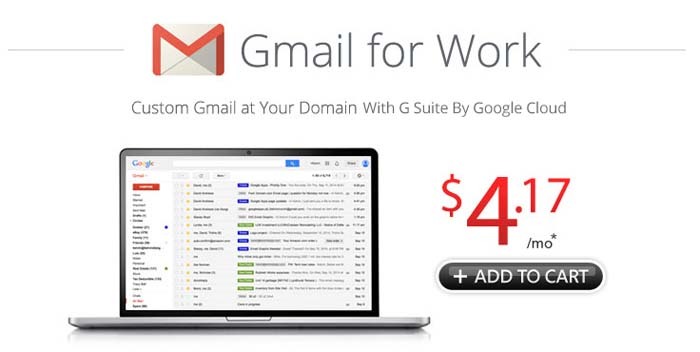 Domain.com offer G-Suite for business email at just $4.17 per month. You get Gmail with your business domain for all professional email communication. It also features Google Drive control panel integration and document collaboration. 1. Select whatever plan you like. 2. Search and add your perfect domain. 3. Add your domain to cart. 5. Apply your coupon code. Remember at this stage you don't have any discount yet. 6. Congratulations! Coupon code applied successfully and you got a great discount.